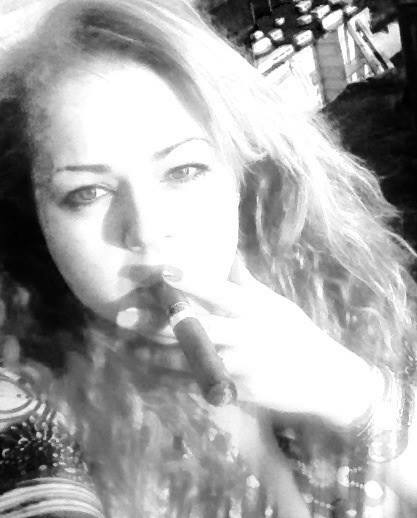 Let’s read the interview with another MB Cigar Lady. Dear aficionados this time I meet Elizabeth. Started to smoke Cigars in 1999 almost 17 years ago. As a child born in Camaguey Cuba I grew up exposed to all the Cuban extraordinary “smells” like I call it ,el Café Cubano, the fresh smell of sugar cane and of course the smell of “Cigars”. My father worked at one of the biggest Sugar Mills in a town called Agramonte in Camaguey as well as my grandfather who use to smoke cigars and I would follow them around mostly just to be exposed to the smell of the cigars my grandfather smoked . As an adult I started to smoke Cigars because I’ve always loved everything about them, I had a special interest in buying a store here in Miami where I live and started getting involved in events as well taking professional pictures. My passion grew stronger each day & having a humidor in my house, cutters, lighters and smoking area became a huge part of my life. I can’t smoke much during the day as I am working inside an office, but late in the evening I smoke 2 Cigars each day to relax. Weekends is my time to smoke as many cigars as I want but I am very selective where I choose to sit and smoke my Cigars as I make each Smoke a special one and love to take pictures so I make sure it’s the right ambiance around me. Best place so far where I have Smoked a Cigar has been in Guanabo Cuba this year in April, spectacular Sunset at the Beach it was one of those incredible experiences side by side as the one I smoked sitting at El Malecon de la Habana (a place where I would love to see an Ocean Front Cigar Lounge one day). To cut my cigars I use one of my Xikar cutters or if the Cigar is rolled in a certain way that the leave allows it I bite it with my teeth (I love the taste). I am a very Spiritual person and to me Smoking a Cigar is a moment that I can be 100% myself, when I am smoking a Cigar I let go of all my worries and I let the Smoke take me away, I relax, I enjoy seeing the way it burns, the shape of the ash, see if it’s a good cigar, if it was hand rolled correctly, etc. it becomes my moment of meditation & if I am with a group of friends smoking it makes the event a more meaningful one where we all express our thoughts about what we are smoking. 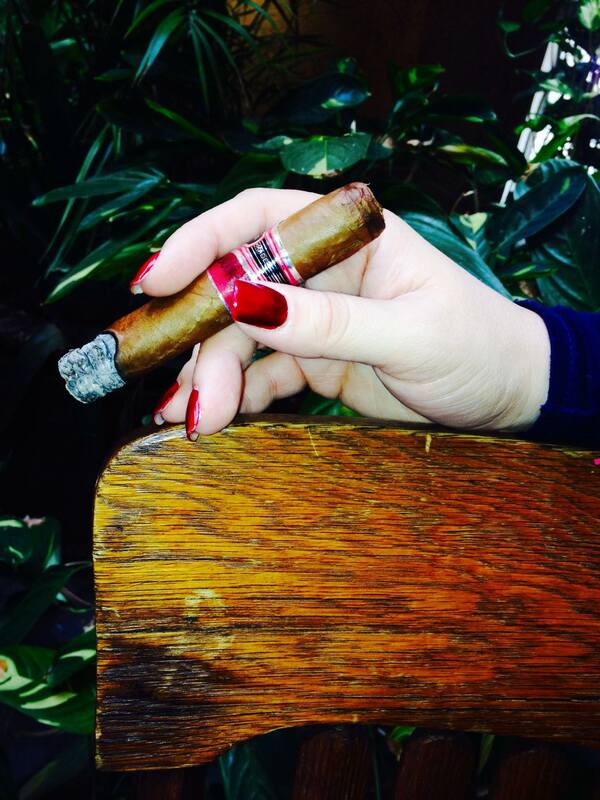 I light up my first Cigar either early in the morning if I have time with my Cuban café or in the evening . 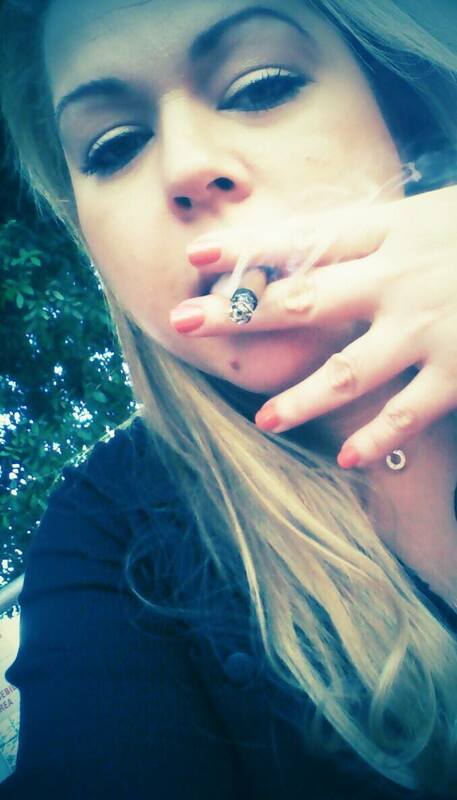 Smoking Cigars is a lifestyle, an Art & Passion. Cigars bring people together is a fact and to me each time I go to the Island where I was born where I first saw a cigar for the first time “Cuba” its an incredible experience. Being involved in the world of Cuban Art by my husbands side who is a professional Conga player from Guantanamo Cuba “Papacho Savon” has made my passion for Cigars even stronger and has brought me closer to my roots again, my next Cigar photo shoot will be 2016 in the Island. My message to everyone around the World is ” Live, Love & Smoke Cigars”!!!! It’s always a real pleasure to me read to make this kind of interview. Elizabeth is a real cigar aficionado. Good ashes to you. One Response to "”Elizabeth Borlado„"